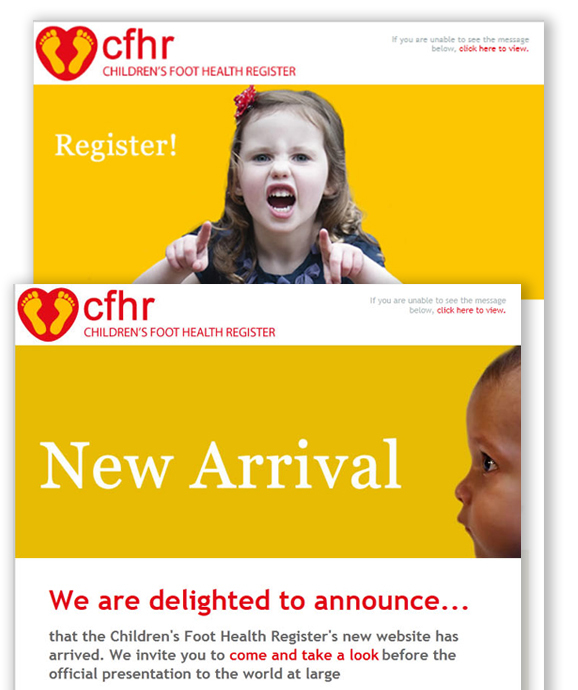 The Children's Foot Health Register was looking for a fresh identity as it took its printed directory online. 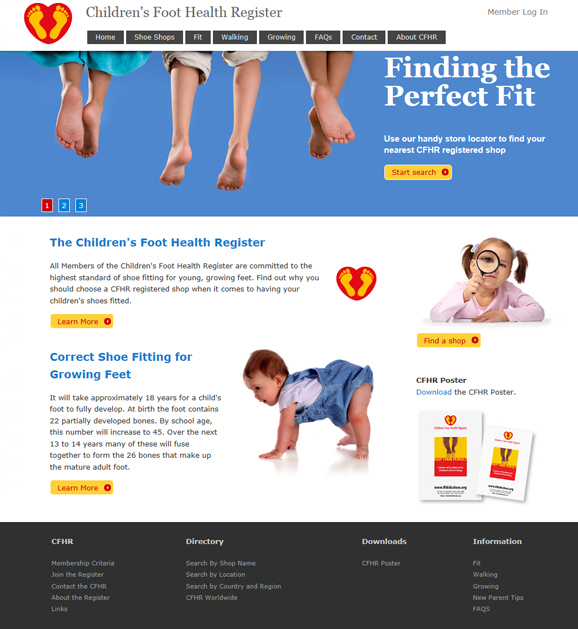 We gave them an identity that emphasised the importance of feet to general health. 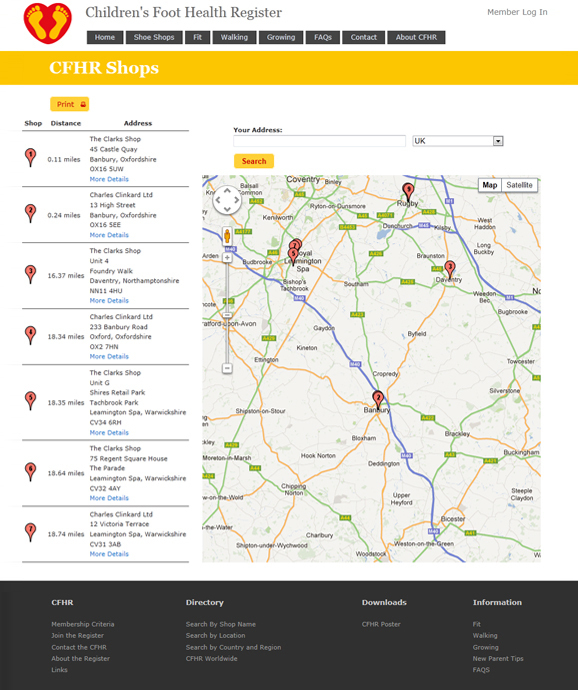 A membership website was built that put a search map at its centre.